Sometimes fireworks are not needed to create special effects. Sometimes we can reach an high level of beauty with very few simple ideas. Nature can do its part and make our job easier. That’s the case of Edge Effect, a photographic project by Daniel Kukla, a young photographer with an interesting background in biology and anthropology. 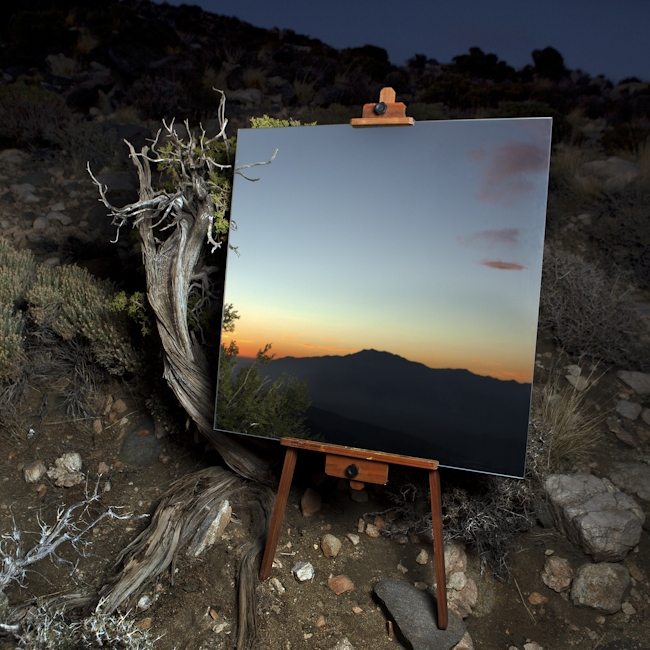 Awarded with an artist’s residency by the United States National Park Service in Joshua Tree National Park, California, he spent long time in the area between Sonoran and Mojave deserts. It is here that he documented, in a very simple and effective way, what ecologists call The Edge Effect, that is, the meeting of different ecosytems in the same natural environment. 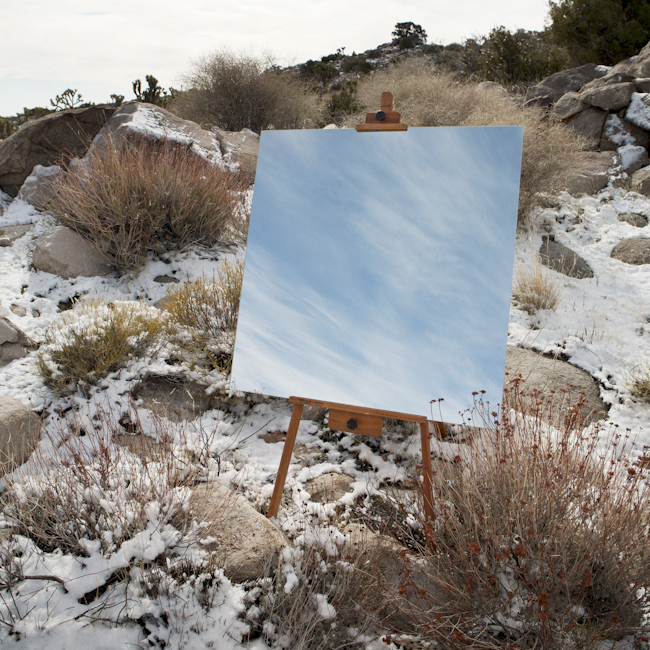 To record this phenomenon, Daniel Kukla choose few basic elements: a mirror, a painter’s easel and his camera. Reflecting a piece of a landscape in the mirror, he combines in the same picture two different images, two (sometimes) contrasting parts of the same natural scenery. 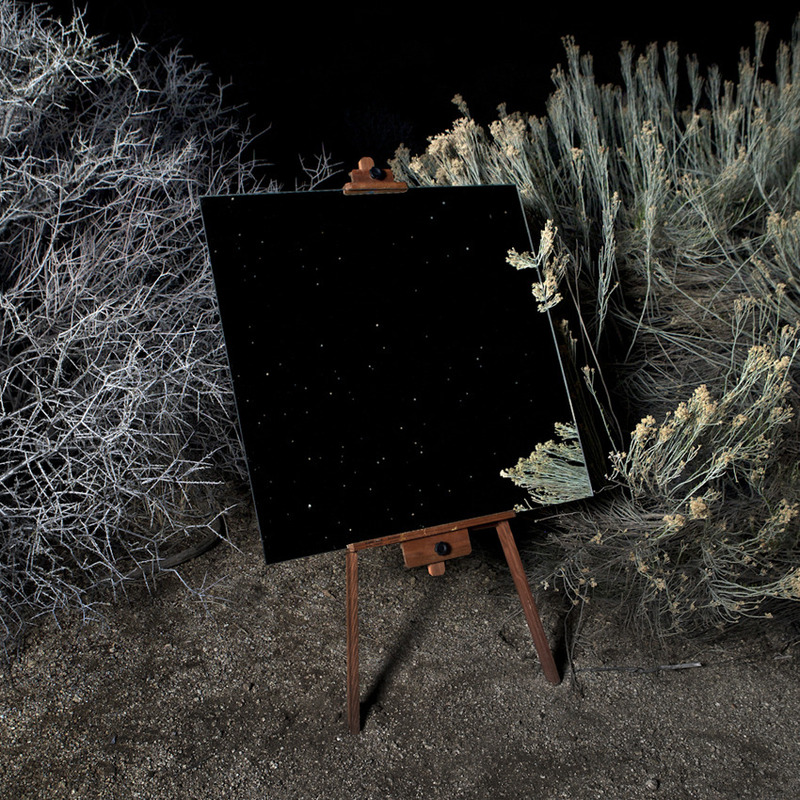 The result is a fascinating game of lights and perspectives, that emulates the feeling of an hyperrealistic painting, placed within an open air museum in the middle of the desert. Kukla’s project reminds me a series of paintings by Magritte (titled The human condition, 1933/1935), wherewhere the landscape on the background of the canvas is exactly reproduced in a painting lying on a tripod, that can be seen in the foreground. The two images are placed on two different levels but they are one the sequel of the other. The Edge Effect is the exact opposite of Magritte’s artwork but, as in Magritte’s paintings, the different natural sceneries shown are part of the same setting or, better, they are the same environment. Perhaps, the end result is as powerful as the one produced by the belgian artist. In The Edge Effect, nature is free to express itself without limits and filters, just a mirror as a canvas, revealing its grace.